In the summer months, it’s no fun being cooped up inside all day…okay, maybe if you’re a teenage boy playing video games inside all day, oblivious to the gorgeous weather, that’s fun for you. But is it healthy? Not so much. You may associate staying fit and active with owning a gym membership and going there on a regular basis. However, when summer rolls around, you don’t necessarily have to waste away the beautiful days inside the gym. Outdoor activities are often an even better exercise than what you’d do at the gym, and a lot more fun! Rather than using the summer heat as an excuse to avoid dragging yourself to the gym or running outside, here are some fun and unconventional ways to exercise outside this summer. Rock climbing is one of those activities that doesn’t even feel like working out. However, it’s a great exercise for your arm and leg muscles, as you stretch yourself to reach new heights on the climbing wall. On a hot day, going to your local rock gym is an excellent way to beat the heat, and if you go with friends or a date, you’ll forget all about the workout you’re getting. What better way to enjoy a beautiful day than by removing yourself from the hustle and bustle of city or suburban life, and connecting with nature? Find your local trails, and pick a day to go with friends. If you’re not an experienced hiker or biker, you may start to feel some pain, but the gorgeous scenery you’ll be treated to make it all worth it. Ropes courses are essentially jungle gyms for adults. It may not sound like climbing around on nets and walking across beams while strapped into a pulley system would be a great workout, but depending on the level of the course you choose, you may be called upon to lift your full body weight at some points. Don’t be fooled: ropes courses are challenging, often involving complex tasks that require you to employ your problem-solving skills and push yourself in ways you haven’t before, but that’s what makes them so much fun. Yoga can be a great group activity if you take a class, or you could opt for a more therapeutic solo experience. You’ll have a more refreshed start to your day if you wake up with the sun and take your workout outside. Plus, you’ll get your workout out of the way first thing and have the rest of the day to yourself. When you were a kid, you probably didn’t need to be told to go swimming. Playing around with your friends in the water was one of the highlights of your summer. As an adult, it may be a little trickier convincing yourself to go to the pool if all you associate with it is swimming laps. The fun doesn’t end when you’re an adult though! There are so many ways to get a good workout in the pool, from volleyball, to paddle boarding, or even a pool game like Marco Polo with friends. If you haven’t been kayaking before, you’ll realize right away what a workout it is for your arms, and you will definitely feel it the next day. Whatever tension you may feel in your arms, however, you’ll feel relaxed as you gently guide your kayak through the water and take in the surrounding nature. No, I’m not kidding about this one! When you think about it, you’re on your feel almost all day as you make your way from ride to ride. You can burn a ton of calories walking for several miles around the park and standing in line. Lastly, just have fun and you’ll get a better workout than you even know. It certainly beats staying on your couch all day watching tv or playing video games. Be a little silly and have a water gun fight or a field day competition with your friends or your kids. There’s nothing that says you have to stop having fun as an adult! I know what you must be thinking. This is a site about fitness and nutrition. He can’t possibly be advising us to eat frozen meals, can he? Well, no- not exactly. I recently switched to a plant-based diet to support my active lifestyle and I am a huge advocate for eating healthy. However, I also realize that not everyone’s lifestyle is compatible with mine. For busy people constantly on the go, it isn’t always practical to prepare fresh, all-natural meals. So popping a quick frozen meal into the microwave every now and then may be your only option. However, even with frozen meals, you do have the option to eat relatively healthy. In general, frozen entrees are quick, easy, and convenient. You have hundreds to choose from- they take up practically a whole aisle in the grocery store! The challenge, according to WebMD, “is to find frozen meals that you enjoy, that will satisfy your hunger, and won’t sabotage your weight loss efforts.” Believe it or not, there are some pretty healthy options out there if you know what to look for. But knowing what to look for means carefully reading nutrition labels, so it will take a little effort on your part. As a general frame of reference, there are two categories of “healthy” frozen meals: light meals which are less than 300 calories and contain no more than 8 grams of fat, and regular frozen meals which are between 360-400 calories and a maximum of 25 grams of fat. Also consider the portion size of, as some brands deceitfully list the serving size as less than the entire contents of the box. This rich, hearty entree is surprisingly pretty healthy! With a creamy sauce, it will definitely be enough to satisfy your hunger and not leave you wanting more. According to Eat This, Not That it is one of the “cleanest and most wholesome pasta dishes” you can find in the freezer section. Plus, this dish delivers 14 grams of protein and a balanced mix of vegetables including kale, squash, and tomatoes. At just 240 calories, this is the lightest option on the list, but with its zesty sauce, organic noodles, and generous serving of vegetables and tofu, it will certainly the spot. Plus, it’s suitable for just about all diets, as it’s gluten free, dairy free, lactose free, tree nut free, vegan and kosher. If you don’t live near the awesomeness that is a Trader Joe’s grocery store, then I apologize for including this one on the list. At 360 calories, this is a tasty ethnic option that won’t bust your diet. It is a little sodium heavy, but this is not a bad option overall in a pinch, and with the Trader Joe’s label, you know it’s going to be good quality. This quinoa bowl will satisfy your craving for a starch to accompany your veggies without being loaded with carbs. Quinoa is the healthy alternative to rice and this dish is also a great vegetarian option because it packs in the protein (from the black beans and red quinoa) and flavor (from all the latin spices) without relying on animal products. Containing salmon, whole wheat orzo pasta, spinach and carrots in a creamy basil sauce, this light dish does not skimp out on flavor. It offers plenty of variety to keep you satisfied and not leave you still feeling hungry. When the skies are gloomy and gray (and dark by the time you get out of work), the wind chills you to the bone when you step outside, and there’s a coating of snow on the ground, going to the gym is probably the last thing you want to do.The only thing that keeps you going is the reminder that you’re paying a lot of money for your membership, and if you don’t go you’re basically just throwing that money away. Even then, it’s a struggle. You count yourself lucky if you make it to the gym at least once per week. I live in Florida, so I don’t really have this problem, but I realize it’s an issue for a lot of people. Four out of five gym memberships in America go unused, and for those that do put their memberships to use, only about half visit the gym on a regular basis of 100 times or more per year. If you’re worried your gym membership isn’t getting enough use this winter and you feel yourself letting fitness fall to the wayside while you go into hibernation mode for the season, then consider a home workout routine. All it takes is some basic equipment and a little motivation to keep active throughout the winter months. Follow these tips, suggested by active.com, for making the most of you at-home workout and by the time spring rolls around, you’ll be feeling great! Maybe then you’ll want to renew your gym membership, or maybe you won’t even need to! It’s so simple to implement fitness into your everyday routine if you’re really serious about it. Try a workout video: There are so many great free workout videos available on YouTube, that you don’t even need to purchase a fitness DVD! Yoga is one of simplest exercises you can do from home because all it requires is a yoga mat and yourself. Check out the SaraBethYoga channel for a variety of yoga sequences ranging from beginner-level to more advanced and from 3 to 30 minutes, so her workouts are designed for all levels and schedules! For a great full-body workout, check out this 7-minute workout video, and if you’re into aerobics (think classic 80s workout routine complete with leg warmers and leotards ), then check out this fun routine: Pump It Up: The Ultimate Dance Workout 2004. It really isn’t hard to fit in some fitness when you have so many great workout routines at your disposal, and if you want to take it up a notch, try an interval workout where you mix resistance training with cardio. Use your own equipment: If you have a jump rope, a hula hoop, weights, a stability ball, or any kind of equipment, then you have a sufficient home gym! Hop on the treadmill or elliptical for 20 minutes, followed by a few minutes jumping rope or lifting weights, and that’s a great workout! There are some great workout tools out there, such as the Empower Kettlebell or a Simply Fit board that make it a breeze to get in shape from the convenience of home. Make the most of your tv time: If you really don’t want to miss your favorite tv shows, but you’re crunched for time, get out of the lounge chair for a bit and take your workout in front of the tv! Use some of those pieces of equipment mentioned above and it won’t even feel like you’re working out. Take the stairs: If you have stairs in your home or work building, then you have an easy workout routine! Simply take the stairs every day at work instead of the elevator, or run up and down the stairs in your house a few times, and you’ll start to notice results. Dance: Here’s one you probably didn’t even think about. Dancing is not only a fun thing you do in front of the mirror when no one’s looking or during a night on the town with your friends. It’s also a great way to burn some calories! Blast the music to a few of your favorite songs and just freestyle it, and before you know it, you’ve accomplished your daily workout. Go on a winter run: No, I’m not kidding and I’m not crazy! Even if it’s cold out and there’s snow on the ground, there’s no reason you can’t go for a quick run. Ice doesn’t usually form on the grass, so try running across a snow-covered field and take in the tranquility of your surroundings. Additionally, running in the cold burns slightly more calories than in warmer weather as your metabolic rate rises to warm your body. The clock strikes midnight and a new year begins. The atmosphere is cheerful as you watch the ball drop in Times Square from the comfort of your living room and you clink your champagne glass with loved ones to the tune of “Auld Lang Syne” in the background. But in the back of your head, something is amiss. Here you are, yet again dismayed with your failure at achieving your fitness goals. You know, the ones you set last year and vowed to stick to after feeling bloated and guilty from all the sweets and treats you consumed over the holidays? Part of you wants to try again, but what makes you think this year will be any different? I know how discouraging it can be to focus on your fitness when your efforts always seem to end in failure. But if this is the case for you, then it’s time to reevaluate your fitness resolution. It is possible to stick with your New Year’s resolution into the next year, but you need to set practical goals and be truly committed to them if you want them to work out. My advice is to start small and build your way up. It’s good to challenge yourself, but don’t bite off more than you can chew. The first step to any goal, not just a fitness goal, is to have a plan of action. You’ll never motivate yourself to work out if you don’t make an active commitment to fit it into your lifestyle. So, before aimlessly heading to the gym, ask yourself these questions: 1)When will you exercise? 2)What kind of exercise will you do? And 3) How much time will you spend exercising? I find that it always helps to write things down. This goes with working out too. Of course, the physical movements of working out are most important, but if you write yourself a reminder to workout and stick it somewhere you will see every morning, then you’ll be more likely to follow through. Whether this means writing a workout plan into a daily to-do list or just scrawling it on a post-it note, remind yourself that it’s important you meet the recommended 30 minutes of daily moderate to intense physical activity, whatever it is you do to get there. For most people, working out is not exactly the most fun activity. Sure, some people love it, but for most it’s a necessary evil. Why not make working out a little easier by setting a joint fitness goal with a friend who can also serve as your accountability partner? Find an exercise that you both enjoy and motivate each other! This is key. Never take on more than you can manage to avoid injury. If you try to take on too much, you’ll also be much more likely to give up on your fitness goals. Start with an exercise regimen that you know you can handle, and don’t compare yourself to others. You may see some people at the gym who are exercising at a much higher intensity, and that’s okay. They are probably more experienced than you and you can gradually work your way up to more vigorous activity. This goes along with starting out small, but you also need to have realistic expectations when planning your goals. For instance, a goal to run a marathon within a few months may not be practical if you’ve never trained for one before, but a goal to lose ten pounds by Easter (if you’re actively dieting and working out) probably is. Know what you’re capable of and go from there. Don’t get discouraged. Lastly, we all lead busy lives and it’s easy for fitness to take a back seat to our other responsibilities. We tend to prioritize what’s most pressing in the moment, such as work and household duties, and let fitness fall to the wayside. Surely though, if you plan for it and make fitness part of your daily routine, you have 30 minutes to spare. Instead of sleeping in an extra half hour or watching a mindless reality show after work, that time could be spent engaging in physical activity. It’s important to balance working out with relaxation, but you will have a much greater chance of long-term success if you work fitness into your daily schedule. Put it on your calendar, download a fitness tracker app, or sign up for a class- whatever you need to do to stay motivated! If you truly want to make fitness a priority and you follow these tips, then you should be primed for success. Don’t let another year end in failure. Most importantly, don’t give up! I know, I know- you probably don’t want to see “fitness” and “holiday plans” in the same line, because if you’re like most people (even a fitness guru like me), you think of the holidays as a time to hang out with friends and family, stuff yourself on a giant holiday feast and all the inevitable baked goods, just relax. Relaxing and exercising don’t seem to go together. In fact, they’re basically polar opposites. One requires you to unwind and do absolutely nothing, while the other is about giving it all you’ve got to the point of pain and exhaustion. Even if you’re someone who incorporates working out into your daily routine, you’re probably more inclined to veg out than to feel the burn over your precious free time around the holidays. Staying fit is vital for your health, however, and you don’t have to sacrifice your health to enjoy the holiday season. Personal trainers report seeing a drop-off in physical activity around this time of year due to holiday obligations, but according to the American Heart Association and The Centers for Disease Control, adults should engage in moderately intense workouts for a minimum of 150 minutes each week to maintain their health. Between all the holiday parties, gift shopping, cooking, baking, holiday movie specials, and family gatherings, how are you supposed to fit in trips to the gym? Well, I have some good news. If you’re hard-pressed to find time to exercise due to your busy holiday schedule, you can cheat a little. Yes, cheat. I do not endorse cheating in any other aspect of your life, but if you need to cut back on your fitness plan a little in order to fit it in, then go for it! It’s better to cut back than to cut it out completely. Exercising is so much easier and more fun when you have someone to do it with, so find yourself an accountability partner (sibling, cousin, friend, whoever’s around) and motivate each other to get up off the couch, even if it’s just for a quick jog around the block or a walk in the park. Exercise can be a great way to catch up with someone you haven’t seen in awhile – much better than being glued to your phones or the television! When you’re pressed for time, efficiency and effectiveness are the keys to a successful workout, so high-intensity interval training and circuit training will help you maximize your workout and burn the most calories. Interval training should always be done at a 1:2 ratio of rest to work. The intensity of the intervals will vary depending on one’s experience level, but an example would be a ten minute interval period alternating between 20 seconds of sprinting on the treadmill with 40 seconds of jogging. A simple circuit workout that can be done in a short amount of time is 10 repetitions of the following six exercises using weights: squats, deadlifts, lunges, shoulder presses, pull-ups, and pushups. Yoga is one of the best things you can do to feel rested and rejuvenated, and you’ll feel so much better relaxing in a healthy way like this than spending all your time napping or parked in front of the tv. According to yoga instructor Jim Simonik, “Around the holidays there’s so much going on, there’s so many demands that really the last thing you want to do is to continue to deplete the body, and the mind, and the emotions.” So if you want to do both your body and your mind a favor, set aside about 20-30 minutes of your time, lay out a mat, and queue up a yoga video. It’s really that simple-yoga classes can be an excellent way to ensure you’re fitting this form of exercise into your schedule, but they’re not necessary! Implement these tips, and you can rest assured that you’re doing everything you can to stay fit around the holidays. This busy time of year may curtail your normal fitness routine, but being busy is no excuse for disregarding your personal fitness entirely. For even more holiday fitness tips, check out this helpful list! Needless to say, people don’t get it. How could a plant-based diet provide me with the proper amount of protein for my physically rigorous lifestyle?!? Even more, a lot of people imagine how meat could actually be harmful for you. As a rule of thumb, excess cellular growth is not so good for the body. The more times a cells copies itself, the more likely a cell is to get incorrectly copied, and the more likely we are to receive tumors, which may be indicative cancer. Heavy, I know. The thing is that many individuals, like myself, aim for extra cellular growth in the form of gaining muscle mass. Those who eat a plant-based diet are known to exhibit less of the growth hormone IGF1. This is great because it’s correlated with a decreased risk in cancer, but at the same time it would seem that less of a growth hormone would make building muscle mass an unreachable goal. As it turns out that this isn’t the case. Thanks for viewing! If you have any thoughts or comments, feel free to drop me a line. If you haven’t already heard, I’m trying to raise $300 for the Miami Rescue Mission. Checkout my GoFundMe to learn more. I recently started a GoFundMe called Goatees for Good Eats. The aim of the campaign is two-fold: to raise funds for the Miami Rescue Mission so that they can provide more meals to those who need them most and to spread awareness about homelessness. It costs $2.00 to pay for a meal at the Miami Rescue Mission. Our target goal is $300 for an extra 150 meals. 1) Have a goatee? A beard? A great mustache? Take a picture of you and your amazing facial hair, Tweet it @BryanLockley32 with your name and city, and I’ll post it on the GoFundMe page. One lucky facial hair submittee will receive a gift card to BestBuy once the goal is reached. 2) Don’t have great facial hair? That’s alright. You can still help out by sharing the GoFundMe link or by sharing this blog post. Again, that will help us not only raise funds, but also spread the word on homelessness and what people can do help reduce it. That’s it! If you can pitch-in in any way, I would really appreciate it and so would all of those that whom you would be helping out. Around Miami-Dade County over 4,000 individuals are homeless. That’s 4,000 people who are left on the fringe of society. That’s 4,000 people who desperately need help to reach their potential. As someone who’s been in the world of personal training and nutrition for much of my life, I know it can be hard to push yourself (let alone push yourself to your limits) without enough food. In 2015, the Miami Rescue Mission provided over 995,000 meals to those who needed them most. 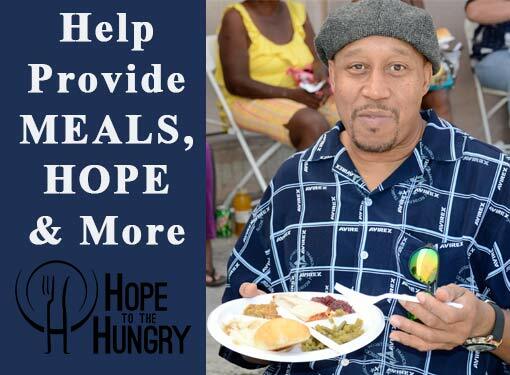 With your help, the Miami Rescue Mission will be able to provide another 150 more meals. Let me start things off by saying that I’m not trying to condemn anyone for eating meet. This isn’t an ethical, environmental piece. This is one about nutrition and heart health. Allow me to explain. The more muscle mass you gain, the more your capillaries expand, the more pressure is placed on your heart to meet the demands of all the additional blood flow. Ideally you’re heart is able to keep up with that blood flow. That is why we do cardio after all. But certain factors make it difficult for your heart to move blood as efficiently as it needs to. For example, low potassium, thyroid imbalance, anemia, or aberrations in the growth of your heart’s valves may lead to arrhythmic conditions (where your heart beats at an abnormal rate), which can in turn lead to some big problems. I should know. After one particularly grueling workout session, I noticed that my heart was beating irregularly…and it hurt! I ended up needing to be hospitalized overnight. It was big ordeal. On being discharged, the doctor taking care of me recommended that I try out a plant-based diet. It turns out that people who eat mostly of fruits, vegetables, nuts, beans, and whole grains are half as likely to be diagnosed with a whole host of health problems including heart disease, high cholesterol, high blood pressure, and type 2 diabetes. It’s been a slow transition, but I’ve noticed that the less meat, dairy, and bread I eat, the better I feel overall. As difficult as it can be sometimes, I love changing up my eating habits. We humans have the gift of potentially living for so many years. Why spend all of that time eating the exact same thing? Switching to a plant-based diet is a great opportunity to change the way that you fuel your body through life. And this happens to have an additional benefit. “Empathy from eating? What?” There are a number of people who eat plant-based diets. By stepping into their shoes for a period of time, you get to see the world from their eyes. Fiber is abundant in vegetables, beans, fruits, lentils, and even fruit. Yes, regular bowel movements is one advantage of having a high-fiber diet. But the benefits of fiber go beyond that. Fiber helps your body get rid of bad cholesterol and also keeps you felling fuller, longer. Vegetables, fruits, and nuts are all rich in varying nutrients from phytochemicals to potassium to antioxidants. In particular, potassium is found in a lot of plant-based foods and it know for reducing the effects of sodium. Although meat carries nutritional benefit as well, its portfolio is not nearly as colorful as that of plant-based foods. Refined sugar is straight-up bad for you. Unfortunately, it’s in almost any processed food. Chips, breads, drinks, numerous dairy products — all of these have refined sugars in them. Refined sugar is addictive and can lead to diabetes, obesity and even heart complications. If you’re on a plant-based diet you can still get sugars, it’s just that they’ll mostly be coming from fruits and vegetables. What’s worse, the high sweetness of sugars essentially desensitizes your taste buds, making it hard to enjoy the natural sugars that are everywhere. Once you start cutting refined sugars out of your diet, you’ll be able to taste the awesome sweetness of a carrot. If you’re just looking at calories, you can get away with eating a lot more vegetables, fruits, and nuts than you can meat. A half of pound of beans will supply will keep you full at a fraction of the caloric cost of half a pound of steak or even bread. If you’re apprehensive about cutting meat completely out of your diet, that’s totally fine. Feel free to adopt a flexitarian or opportunistic carnivore lifestyle. Although I don’t cook meat myself, I will have it if I’m at someone’s house and they’re serving a meal or if I’m really curious about the gourmet burger that my friend is eating at a restaurant. Perhaps the greatest part of a trying out a plant-based diet is that, well, that’s all it is. A trial. If you find that a plant-based diet isn’t for you, you can stop at any moment. I hope you find this illuminating. Again, I highly encourage everyone to try out a plant-based diet. Especially if you’re working out a lot. If you do end up switching to a plant-based diet, I recommend that you consult with your primary care physician. Although the transition usually goes without a hitch, there is the risk of certain nutritional deficiencies. Be serious about your water. To give hydration a kick, drink citrus water. When water has flavor, you value it more—it actually feels like you’re drinking something. In addition, synephrine, an organic compound found in the rind and juice of citrus fruits, especially tangerines and sour oranges, accelerates metabolism. Citrus has vitamin C also, which helps to boost production of growth hormone. 2 gallon dispenser, filtered water, citrus fruit, 3 quarts a day for consumption. Twitter is good for keeping in tabs with the world and staying up to date with the latest crazy thing that Kanye West has said. But one way I use Twitter is for motivation. That might sound a bit corny, but what I mean to say is that there is no shortage of original and curated quotes flowing through the Twitterverse that are sure to help you look at the word in a better motivated, more optimistic way. Whether you’re about to get ready to go for a run, are waiting in line to grab a burger, or are just waking up in the morning, all you have to do is take a quick glance at Twitter to get some motivation. Below are some of recent one’s that caught my eye. It can be great to read some inspiration by others. But why just read the work of others when you create your own? To keep yourself motivated, I challenge you to think of one inspiration quote a week. It doesn’t matter if it’s silly or if it doesn’t seem revolutionary, what matters is that you’re thinking positively and that your manifesting that postivity in the world, even if only in a tweet. I guarantee you that if start doing this, you will not only start working out more, you’ll also enjoy it.